If lots of random good things have happened to you before and people say you are a lucky person, does it mean that there is something about you that brings these events about and, as such, these good events will tend to happen to you in the future as well? Or does it simply mean that in your case things worked out well many times in a row as a pure coincidence, a series of beneficial but completely chance occurrences? For instance, the chances of tossing a coin heads-up in a row are 1 in 1024. Could you simply be the one out of 1024 people for whom 10 sequential events turned out really well? If so, then there is no reason to expect that this trend will continue in the future: if your coin landed heads up 10 times in a row and you are about to toss it for the eleventh time, then it’s still 50/50 which way it will land. 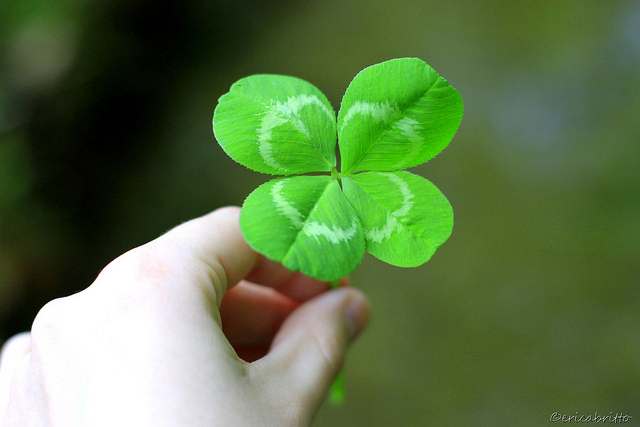 I think that to a large extent, luck can be seen as a personal characteristic. What I’m saying is that, I believe luck is learnable. You can teach yourself to be lucky. Uncontrollable luck is about events that are outside of your control. Take the numbered balls in a lottery machine, for instance. These balls move and bounce in such a random fashion that there is nothing you or anybody else could realistically do to influence the outcome of the lottery (outside rigging the machine itself, of course). Maybe there are ways to get luckier at uncontrollable events (which would in a way move them from the “uncontrollable” category to the “controllable” one), but that discussion would quickly lead us into an area of philosophy and metaphysics. Both great topics for discussion, by the way, but I want to keep this post a bit more concrete. Let’s talk about controllable luck instead. Some decisions are luckier than others. I first learned about this concept from Daniel Priestley. For me, this was a ground-breaking idea. I can’t remember Daniel’s exact wording on this, but it’s stuck in my mind ever since I read his book, “Entrepreneur Revolution”. There are choices you can make in your life that will more likely lead to things happening that other people, looking from the outside, will want to call “lucky”. These good things may seem “lucky” even to you, but you know that if you hadn’t made that specific choice, this “lucky” thing would never have happened. This also means that some choices are less lucky. You can choose to act in ways that will prevent great (but random) things from happening to you. You can also make choices that will make bad, and seemingly random, things happen to you. Let’s put this into perspective with some examples. You can drive a car in different ways. You may be vigilant and attentive, constantly keeping an eye on the traffic conditions around you, observing signs and limits, being polite towards other drivers. Or, you can be speeding down the highway, picking up your cigarette off the floor with one hand and texting with the other, holding on the steering wheel with your pinky finger, while only occasionally glancing at the road. Which behaviour do you think is luckier? If there was a renegade driver on the road who ignored the stoplight and drove out onto the crossroad right in front of you, which of these two behaviours would more likely lead to you saying, after the fact, “Phew, I was so damn lucky I spotted that idiot in time!” and which one will have you called “the unlucky driver of the other vehicle” on the local news? You see how in this case, what we call “luck” actually stems not from chance occurrences in the world around us, but from specific actions we take? Being observant on the road is kind of an obvious example, and that’s something most of us do anyway. 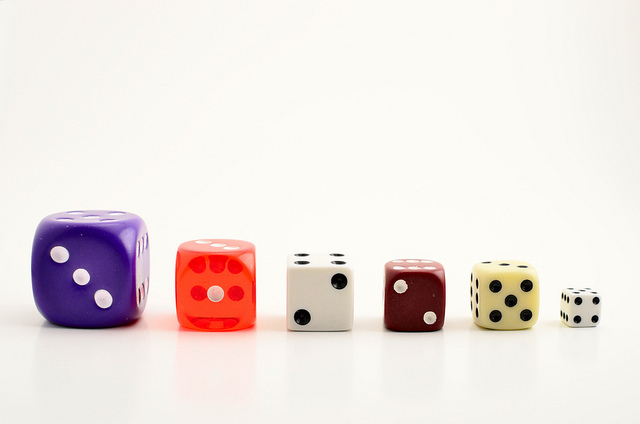 The “hidden luck factor” is however less obvious in decisions which do not put our life at risk. Which one is luckier: scrolling down your Facebook feed for two hours or spending those two hours browsing for information and making notes on how to achieve your dream goal, whatever that may be? Which of these two is more likely to make you stumble on an important piece of information or to find a person who can help you? By spending your time more deliberately, you are increasing your chances of something good happening to you because you are focusing on “controllable luck”. The Facebook feed contains random information which is mostly irrelevant to you. Yes, you may stumble on something groundbreaking in your Facebook feed, but hoping for that to happen means putting yourself into the hands of uncontrollable luck. Of course, preferring a lucky action over a less lucky one does not guarantee you immediate success. But these things add up. Consistently choosing the luckier options will eventually get you much further in just about everything you do than consistently choosing the less lucky options. Note that not making a choice is also a choice. Choosing nothing at all and just letting things happen to you is almost always the less lucky decision. It’s just easier to let life throw you around like dice, and the result is pretty certain to be mediocre at best. Though it’s been said that the harder you work the luckier you get, it’s not necessarily hard work that brings luck, it’s also making the right choices, consistently. In fact, if you make it a daily routine, the better for you. At the end of the day, take a piece of paper (your notebook, or a computer document) and think of three things that you chose to do. These should be actions where you genuinely had a choice. They don’t need to be grand decisions, little things will do. Write them down. Now, for each of them, try to think of one alternative option you had, which you feel would have been in some way luckier. Again, these alternative options need to be ones that you really had (even if you didn’t think about them in that moment). Write these down as well. Finally, for each of your decisions, write down one alternative option that would have been less lucky than the thing that you actually did, but not something ridiculously stupid (like doing cartwheels all the way to work rather than walking). Pick something that you realistically could have chosen to do. Write these options down too. As a bonus, next to each alternative option you had, you can write down one reason why it would have been more or less lucky than what you did in reality. That’s it. You don’t need to feel bad about the decisions you made, you don’t need to commit to making better decisions in the future. That’s not the point of the exercise. What’s important here is perspective. This simple 2-minute exercise, if done reasonably often, will start putting a perspective onto the kinds of decisions you make in your life. You will start to gain an understanding of just how much of your life is actually within your control and just how many opportunities may be hidden behind simple everyday choices. The magic will happen when it’s time.